Dafnes ~ Δαφνές is 18 km from Heraklion town south by the national road, central to the Heraklion region. A proud Cretan village, surrounded by other villages Veneráto, Avgenikí, Kerásia and Síva. The dimos local government is Palianí Παλιανή, named after the nunnery on the outskirts of Venerato. 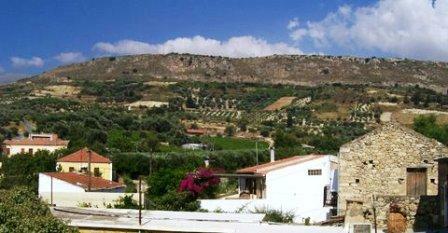 The village sits along a ridge line looking over the foothills of Mt Psiloritis, surrounded by gently sloping valleys. It is an agricultural centre busy producing sultanas, grapes, wine, spirits, vegetables and olive oil. The name comes from daphni which means laurel. This is a tree that was growing in the chapel of the village. The village sits just up from the national road with access to both Heraklion and the thriving agricultural valley of Messara. The village has been on the trade routes of the island for many years. Since the 13th century it has been known for its dafniano wine. Today the famous red wine VQPRD 'Dafnes' is produced by the Agricultural Cooperative of Iraklion, from liatiko variety. The hub of village life is the kafenion, of which there are plenty. The central plateia is shaded by beautiful large eucalyptus trees, and ringed by cafés and kafenia. On one side of the plateia is the small church of Agia Zoni Agios Nikolaos, a beautiful rough stone church dating from 1685. 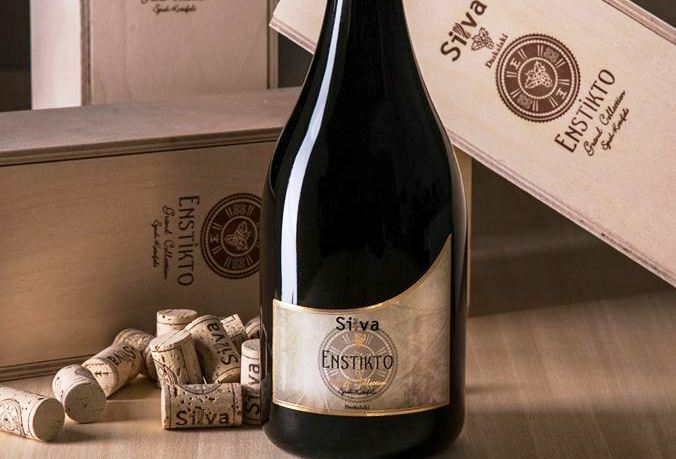 As a centre for winemaking, the region has a few different wineries including Douloufakis, Silva Daskalakis and Vergitsis wineries. See our wine page about the wine grown here. 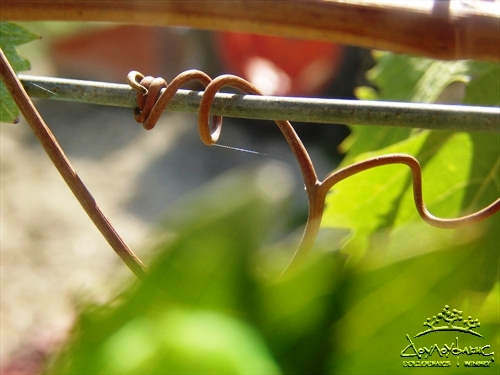 The industry suffered in the mid '80s with the phylloxera virus, forcing winemakers to plant American rootstock. This initial problem has proved a long-term gain for Cretan wine, as a wider range of varietals are now grown all over the island, resulting in tasty modern wines. The village and the whole region celebrates in a week-long wine festival. The festival runs in June or July each year. There is plenty of Cretan music, dancing and wine drinking to enjoy. 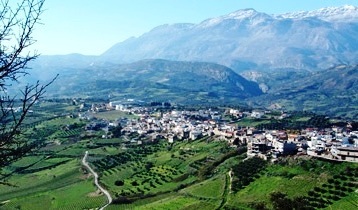 The European walking path E4 passes close by to this village as it traverses down from the Ida range through the wine country and rolling hills of Heraklion, past Zaros the on to Ano Asites and Ano Archanes, with some trails passing through Venerato and close to this village. Nearby is the village of Kerasia, see our food page which relishes village life, foods and rhythms. Close by are the other wine regions of Peza and Archanes, and of course the ancient Minoan site of the Palace of Knossos. To the south by the national road lies the town of Mires. It is easy to reach this town in the centre of the Messara plain within a one hour drive, and close to it are the historic sites of Festos and Gortys. Also within driving distance is the leafy mountain village of Zaros, with fresh mountain trout a local specialty, and the cool forested lake of Votomos. 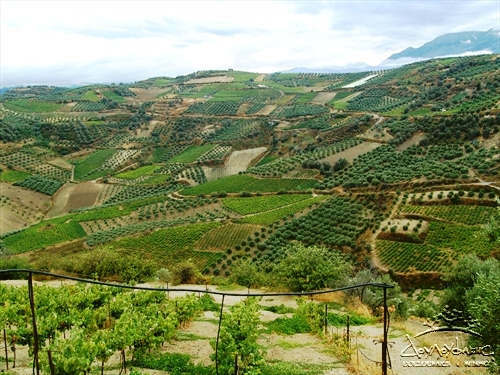 This village is included in the itinerary of our e-book Five Days in the West of Crete by Car or Motorcycle, which features a trail for the independent traveller beginning in Heraklion and including Knossos, this wine region, Zaros, historic sites, Rethymnon and Chania. 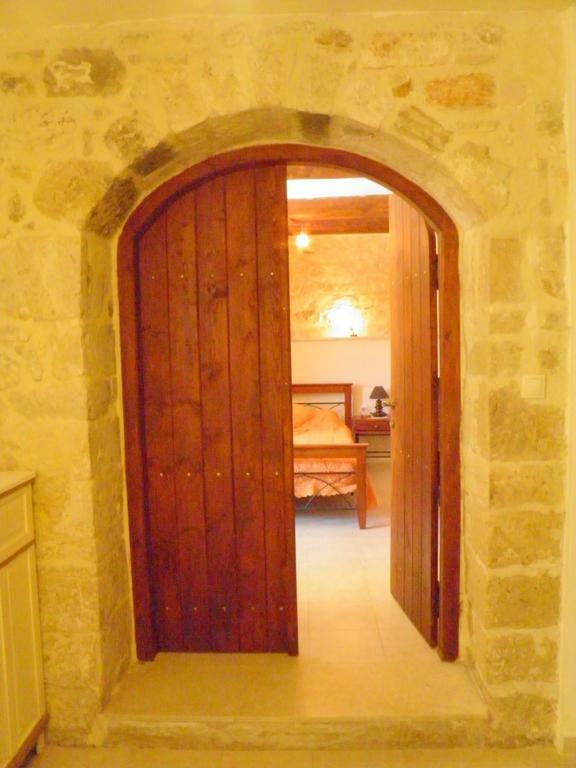 Villa Kerasia is a small guesthouse B&B sitting amongst the vineyards of Heraklion, just south of the villages of Kerasia and Dafnes. 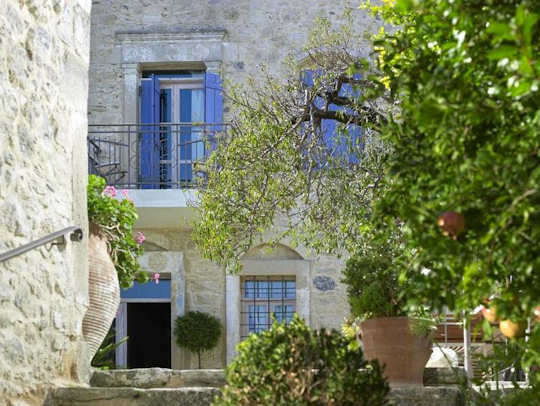 A beautifully restored local mansion, the attention to detail in the restoration and conversion to a B&B has been magnificent, creating an unforgettable experience of the Crete of yesteryear. Lacking for nothing at this very comfortable and hospitable property, enjoy the wine region and sitting on the poolside terrace for meals. See the location of this village on the map below.